Please help us raise funds for a CGM,(Continuous Glucose Monitor) for our little girl. Our five year old daughter Georgia has recently been diagnosed with type 1 diabetes, which has changed her life and ours forever. She has went from being a care free happy little girl to being anxious and worried, requiring up to ten blood finger pricks per day and night along with multiple daily and nightly insulin injections. 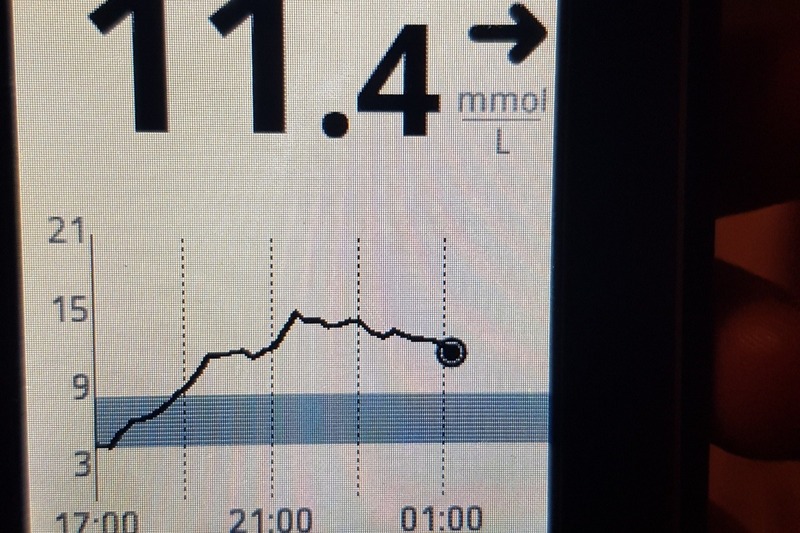 Georgia suffers from frequent hypos (low blood glucose) due to her condition and has absolutely no awareness or warning what so ever when they happen or about to happen. Hypos are so dangerous and if left unchecked can be fatal. As her parents we have been on constant guard checking her day/night since her diagnosis and we are like walking zombies! She is our world and knowing this horrible disease has taken the lives of so many children it is like living a never ending nightmare with this constant threat to our childs life day and night. The doctors treating Georgia say the best tool currently on the market to help treat and manage Georgia's diabetes would be a CGM, it would send us an alert to our phones when her bloods are at dangerous levels low or high and would also make managing her condition when shes at school a whole lot easyer, we could maybe even all get a full nights sleep! It would also considerably limit the amount of finger pricks her little fingers are having to endure,its heartbraking to see them getting damaged daily along with the constant worry of possible complications later in life with her blood levels not being in range. These Continuous Glucose Monitors are very expensive and we simply cant afford to get her one which is so frustrating and the reason why we are looking for funding support. There is also a link underneath that will take you to a petition that i have started in a bid to get the government to provide free CGMs to all children under 18 in the Uk with type one diabetes, i would be so gratefull if you are able to sign and share also.